Namibia tours are packed with wildlife safaris at various places including Etosha National Park and Mudumu National Park. 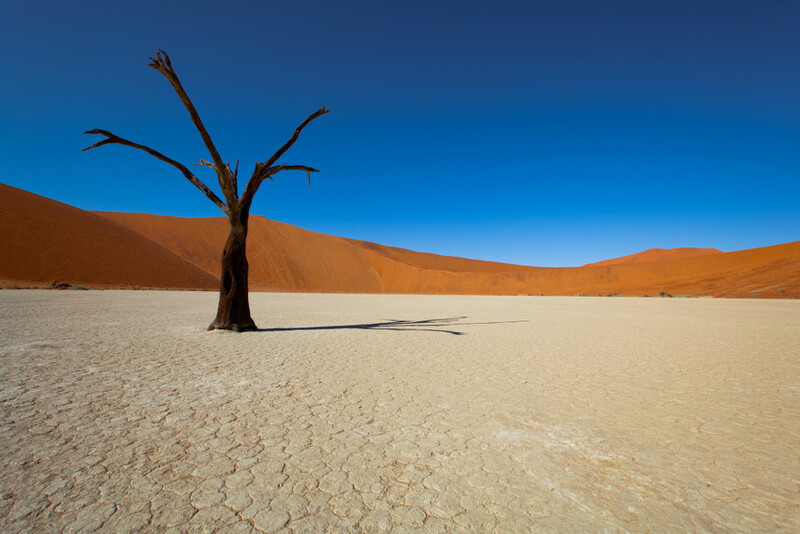 Equally marvelous are the desert landscapes such as the Namib Desert and the Kalahari Desert. Other attractions are coastal towns such as Swakopmund and Luderitz with their German influences and colonial buildings. 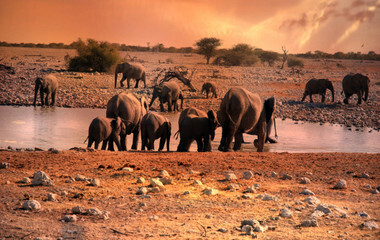 On Namibia tours, experience a wide range of dramatic landscapes and thrilling wildlife safaris. Our communication was through Elsie, and she was great. We really appreciated the detail and communication she gave us to prepare. The itinerary and a..."
Incredible safari? Check. Stunning waterfalls? Check. Rugged mountains crumbling down into the ocean? Check. 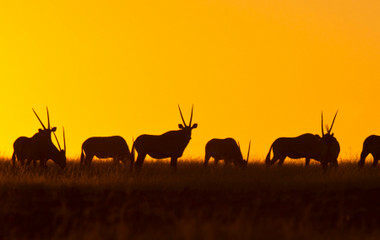 On your Namibia tours it's really hard to say just what the main attraction is. 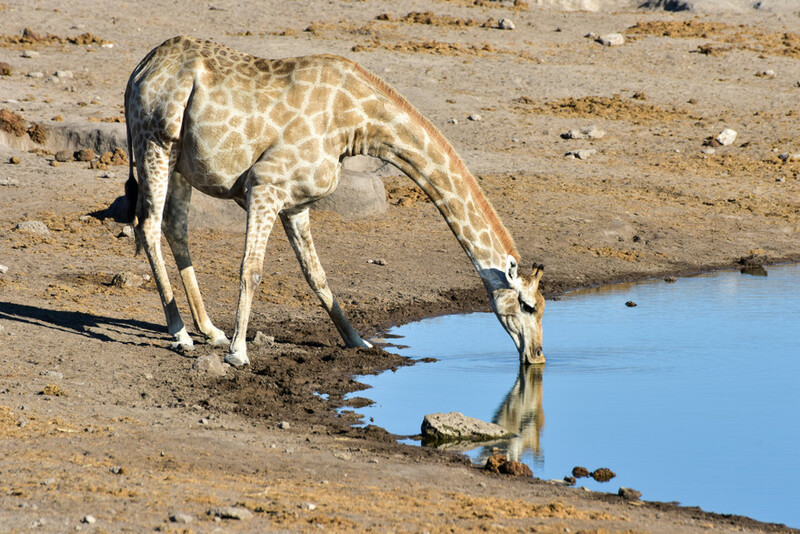 You'll be able to roam the wild plains of the country on safari tours, witnessing some of Africa's best game out in their natural habitat, and the next day explore the unmissable Namib-Naukluft Park. This national park is a photographer's dream, where thousands come each year to capture the mesmerizing sand dunes and the gorgeous desert sky. Namibia is a country that contains staggering diversity and, although small, offers tours that can not only fulfill an adventure travelers dream but also a photographer. The stark contrast in Namibian landscape is down to the varied topography and geographical location of Namibia. 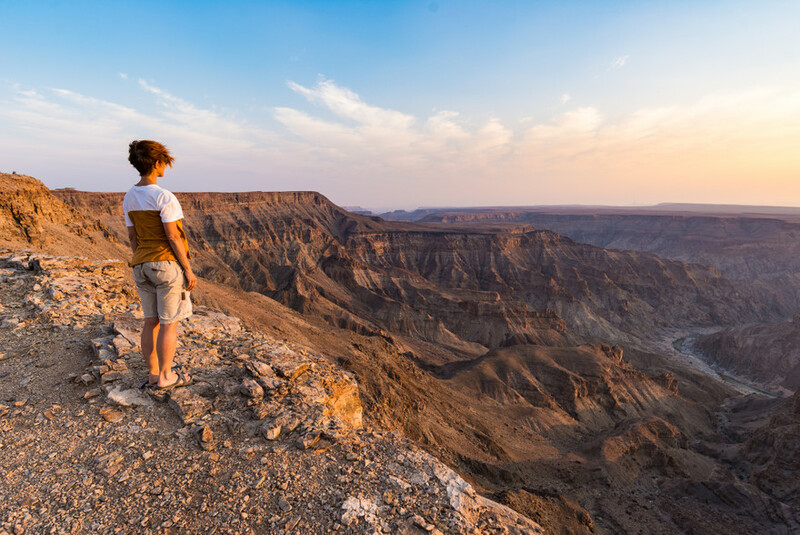 Wedged in-between the famous Kalahari desert and the rugged coastline of the South Atlantic, Namibia inevitably boasts some epic sites and picturesque views. The synthesis of colliding landscapes, along with the vast range of wildlife means Namibia is fast-becoming one of Africa’s most popular destinations to travel. Namibia’s timelessness is conveyed by its picture-perfect sand dunes. Namib-Naukluft Park (as depicted in the picture above) is the best place to view Namibia’s classic sand dunes. Taking in around 23,000 sq km of arid desert, Namib-Naukluft Park has come to define Namibia’s landscape and is simply unmissable on your Namibia tours. 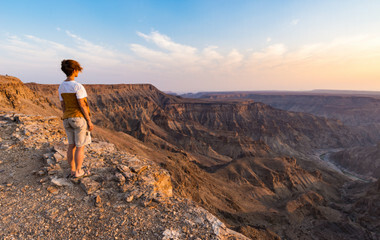 Continuing with the vast characteristics of Namibia, the Fish River Canyon in Southern Namibia (trickles into South Africa) is only rivaled in sheer scale and grandeur by that of the Grand Canyon in Arizona. The numbers are staggering; measuring 160 km in length, up to 27 km in width and reaching a depth of 550m, this canyon can only be visited by undertaking a 5-day trek to reach it. Surrealism in its natural form next. Sossusvlei is a stunning red-clay pan in the Namib desert that is constantly changing shape and colors due to storms and lighting respectively. At sunrise and sunset, you will be met with photographers from all over the world who have come to catch a glimpse of the exemplary desert coloring and endeavoring to capture that perfect photograph. 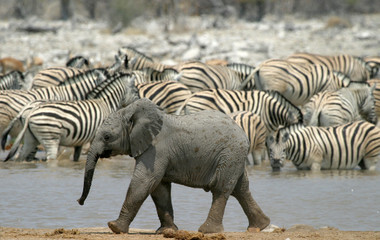 Etosha National Park is perhaps Namibia’s greatest attraction and one of the world’s best wildlife safari spots. 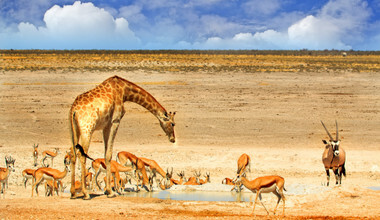 Centered around the vast Etosha salt pan and focusing on the activity of the rare rainfall, which, when it comes, covers the saline desert and creates a shallow lagoon that subsequently attracts a large group of wild animals. Etosha National parks contain an astonishing 340 species of bird and 114 species of mammal to feed your voracious camera lens. The Namibian cuisine can be condensed down into two categories; that of indigenous cookery and that of German colonialist cookery. It is the indigenous cookery that still prevails today, however, with air dried Biltong a national favorite, along with the popular smoked meat dish – Rauchfleish and the traditional bush stew - Potjiekos. The Namibian favorite drink has to be the omnipresent Windhoek lager (also featured on our list of favorite beers around the world). 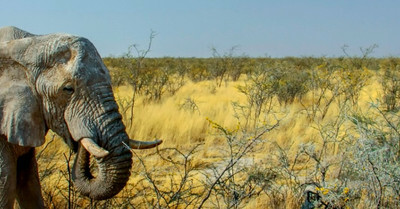 Namibia has 11 main ethnic groups and traditional practices are still commonly used countrywide, particularly farming, outdoor cooking and hunting techniques. 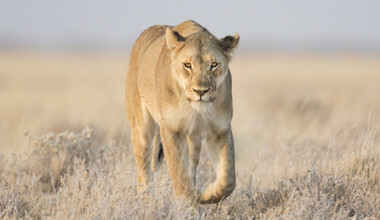 On your Namibia safaris the dry period from May-October is often regarded as the best time of the year for game viewing. Be prepared, however, for freezing nights between June-July. In general Namibia is a year round destination, however if you are worried about slightly humid weather with the chance of a downpour then try to avoid the wetter months of December-April. The rain in Namibia rarely has a negative impact on its visitors though. Our communication was through Elsie, and she was great. We really appreciated the detail and communication she gave us to prepare. The itinerary and accommodations were all rather different and a nice change of pace at each destination. Elsie went the extra mile for us when our flight to Windhoek was delayed 18 hours, she found a way to adjust with really short notice and helped us kick off our trip. It was very well organised. On the map Heike included with the information, she made crosses where the hotels/guesthouses/lodges were located. Also detailed information about what she recommended to see or visit. I was very pleased with the whole plan and information. Excellent, helped a lot to make my trip comfortable!